Once a high-flying international lawyer, a member of the innermost circles of government power, Jack Shepherd has abandoned the savage politics of Washington for the lethargic backwater of Bangkok, where he is now just an unremarkable professor at an unimportant university in an insignificant city. 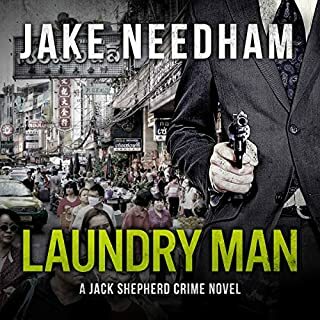 A lawyer among people who laugh at the law, a friend in a land where today’s allies are tomorrow’s fugitives, Jack Shepherd battles the global tide of corruption, extortion and murder that is fast engulfing the new life he has made for himself in Thailand. The first body is in Singapore, on a bed in an empty suite in the Marriott Hotel. The second in Bangkok, in a seedy apartment close to the American embassy. Both women. Both Americans. Both beaten viciously and shot in the head. Both stripped naked and lewdly displayed. The FBI says it's terrorism, but the whispers on the street are that a serial killer is stalking American women across Asia. Inspector Samuel Tay of Singapore CID is something of a reluctant policeman. He's a little overweight, a little lonely, a little cranky, and he smokes way too much. Thinking back, he can't even remember why he became a police detective in the first place. He talks about quitting all the time, but he hasn't. Because the thing is, he's very, very good at what he does. I have sent several emails to friends and family about all of Jake Needham's work. I tell them to read the books and listen at the same time. What other book might you compare The Ambassador's Wife to and why? I prefer to let a book stand on it's own merit. If it is too much like other books, then what's the point? I love original work and thought processes. Jake gives us an exotic location, with all its warts, and not only do we learn something, we get entertained as well. Inspector Samuel Tay seems a timid man, who smokes like a chimney, eats too much and can be very cantankerous but he goes through the facts of the case in a unique way. I adore this character as he cares about discovering every aspect of the crime committed. I want more Tay. Don't be afraid to buy this book. I have read twice and also bought this audio. Enjoy the story. You can visualize the location, feel the heat and walk in Inspector Tay's shoes as he solves the case. 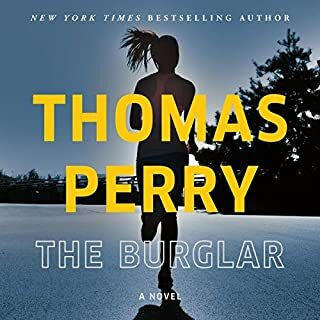 BUY all his books and audios, you will not be sorry, THIS IS A CHARACTER WHO IS REAL, a police procedural, and what steps must be taken to actually solve a crime. 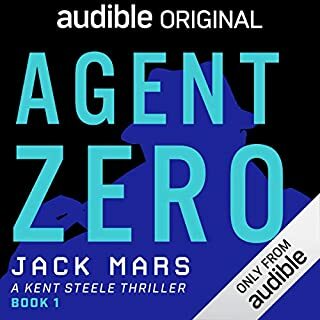 Where does The Ambassador's Wife rank among all the audiobooks you’ve listened to so far? I'd say this is one of the best audio books I've ever listened to. Not only is Jake Needham's storytelling, fascinating, but Steve Martel does an amazing job of voicing the characters. I've attended a crime scene or two in my time, and the narrative of the scene in the beginning of Ambassadors Wife transported me into this one. It's almost like Mr. Needham has been in one or two himself. Very well done. 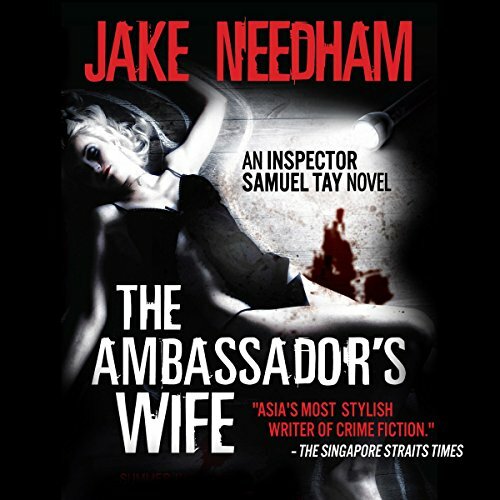 I've really enjoyed The Ambassadors Wife and The Umbrella Man by Jake Needham. His descriptions of the locations are so detailed and colourful, you really can feel yourself there, with all of the sights and sounds and dark undercurrent. Just the right amount of humour and drama in these stories to make for great listening (and reading). Looking forward to attending more crime scenes with Inspector Samuel Tay. 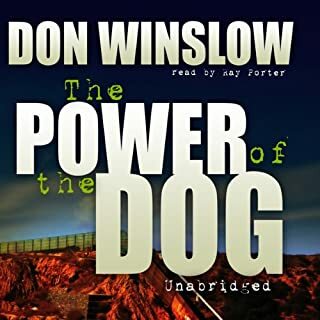 Among the audio books I have listened to ( I am 59 years old don't ask me to count)none have charmed me as much as The Ambassadors Wife, perhaps excepting "The Umbrella Man" by the same author. I was a little apprehensive about the narration, given as we are to hear our favourite characters in the voices we ourselves conduct in our heads.I am flabbergasted now but admit that Mr Marvel's rendition of the Inspector is now absolutely written into my consciousness. 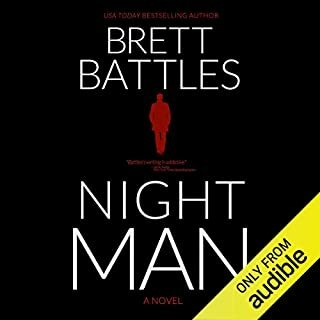 I can't imagine anyone else replacing him.It was an absolute delight to rediscover the novel through a listening experience .Great God I didn't even have to turn a page - mmm tap the screen. Have you listened to any of Steve Marvel’s other performances before? How does this one compare? Fabulous. Cannot imagine anyone else. For me Steve Marvels voice and that of Inspector Tay will forever be ONE. It made me laugh and it then it made me laugh again and I also felt a great empathy with the character, which should be odd as I am not from Singapore, have never lived there, am not an Inspector or otherwise associated with a police force. I am from Scotland, but I do smoke. Plot twists abound! Forget what you think you know. Not your typical detective. Not a predictable plot. Very well written with a great narrator. Would you consider the audio edition of The Ambassador's Wife to be better than the print version? What was one of the most memorable moments of The Ambassador's Wife? When Tay meets Cally Parks. What made the experience of listening to The Ambassador's Wife the most enjoyable? The change of voice from the one I'd grown accustomed to in my head reading Jake's other novels. I'm a fast reader and and Jake's pacing is masterful. But the audio version forced me to slow down, but in doing so tempered my impatience and helped me see Jake's writing in a different way. I'm looking forward to reading the next one. I changed the listening speed to 1.5 and it was just prefect. I loved it when the OC says he's counting on Tang to solve a gruesome murder. Tang promises he'll do his best. "Do better than that. Just f&*%ing fix it." Sorry your best isn't good enough Tang, deal with it. Clarity. He seems to enjoy language, a taste he shares with Jake. He has a way of changing his voice just enough to create distinctions in characters and accents without sounding like he's trying to be Frank Gorshin (I'm dating myself). Jake's books don't 'move you' in a sentimental way. They move you to explore and take action, to see, as Joan Didion wrote, "the tidal bore on the Amazon." I want to pack up an Olivetti typewriter and head off to parts unknown and return with a novel, a broken heart and a bad liver. Jake Needham is a raconteur of royal order. His sense of humor is understated but evident. His ability to take the you back to the scene, the locals, the old buildings, the way things used to or ought to be, is truthful, almost melancholy, always genuine. It's not like listening to someone pine for better days that probably weren't better; what Jake does is make you wish you could have been a part of it and you are envious of his experience. This is (I think the first book) in a series I have not read before. I don't know--others might like it much better than I do. Reading the blurb about it--I was sure it was going to be really exciting. It has all the ingredients--intrigue, murder, exotic orient setting, Inspector Tay--who (as he is described and as he behaves in the book) is the best part of the book. Yet, I'm about 4 hours into the book, and have felt nothing but boredom. 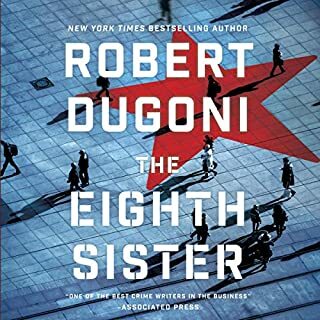 Not sure how that is--can't fault the narration, but even with all the pieces that should be making this a truly fascinating story, I'm not fascinated--I'm having trouble even keeping my attention on the book. I think the story is just so stretched out, that I keep waiting for something new and interesting to occur, but there is just so much filler that it's a long wait. Guess I'm going to just cut my losses on this one. I think it's kind of cheating to write a review without finishing a whole book. I understand that some books take this long to get set up. But this has not seemed like the establishment of the basics--it just drags. I'm sorry. Bought it during this great sale going on, and now I pretty much wish I hadn't. HOPEFULLY other people will love this book. But I don't. Literally, a bit of tongue in cheek humor, and a page turner mystery in the orient. If you like spooks, police procedure, a slightly flawed hero, and a precise who done it, read The Ambassador's wife.